We stand poised on the brink of making huge changes for the Eel’s future. There has never been a more important time for you to engage. Please, act today.Help us help the Eel River. Send your comments asking for removal of the Eel River dams to the Federal Energy Regulatory Commission (FERC) by August 4. See details below. And send Friends of the Eel River some help when you can. We depend on your generous financial support. Please ask your friends what they can do to help as well. The fight to remove the Eel River dams could prove to be long and expensive. It is absolutely essential we weigh in with all the force we can muster at this critical early stageof the process. At Friends of the Eel River, we know something about long, expensive fights. We’ve been in court with the North Coast Railroad Authority (NCRA) since 2011. We are now awaiting the California Supreme Court’s ruling in our challenge to the NCRA’s refusal to follow CEQA, California’s flagship environmental law, in rebuilding the failed rail line through theEel River Canyon. CEQA compliance was an explicit condition of more than $60 million in state taxpayer funds the California Transportation Commission allocated to the NCRA. On June 29, the Transportation Commission ordered the NCRA to prepare a shutdown plan, citing a 2016 audit which raises “substantial doubt about NCRA’s ability to continue as a going concern.” The endgame for the Eel River railroad could be just around the next landslide. Meanwhile, it’s time to move on removing the Eel River dams. 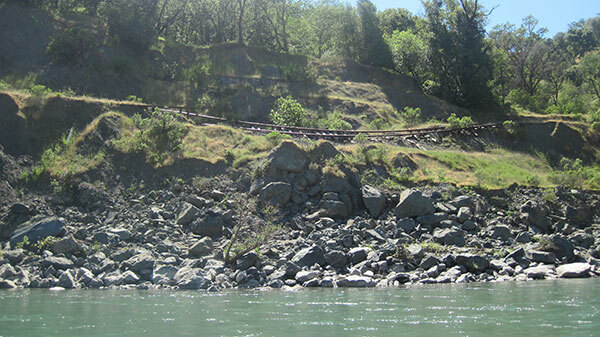 On June 28, the Federal Energy Regulatory Commission (FERC) held the only scoping hearings for relicensing the two Eel River dams. The agency deemed it suitable to hold those hearings in Ukiah, where FERC heard a lot from Russian River agricultural and political interests who are certain the sky will fall if the diversion of Eel River water to the Russian River through PG&E’s Potter Valley Project ever ends. Cape Horn dam, downstream from Scott dam, is the smaller of the two dams on the Eel River and has a fish ladder. FERC didn’t hear so much from people who care about the Eel River and its fisheries. 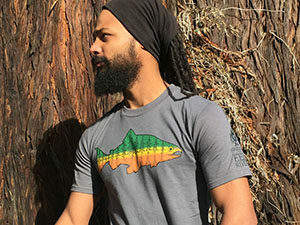 People who realize that the 140-foot high Scott Dam doesn’t allow any fish passage at all – so more than 250 stream miles of high-quality habitat in the upper Eel basin has been outof reach to salmon and steelhead for a century. People who understand that business-as-usual operation of the dams and diversion was driving Eel River salmon and steelhead extinct before the National Marine Fisheries Service required FERC to heavily modify dam operations in 2003. People who know that PG&E has admitted it can’t actually comply with the terms of that federal order, and even if they could, that modified dam operations are still harming salmon and steelhead reproduction. People, in short, who understand it is time to remove the Eel River dams. This asserts as conclusions precisely the questions which ought to be at the heart of this relicensing process: Are these dams economically and ecologically viable? Are they safe? 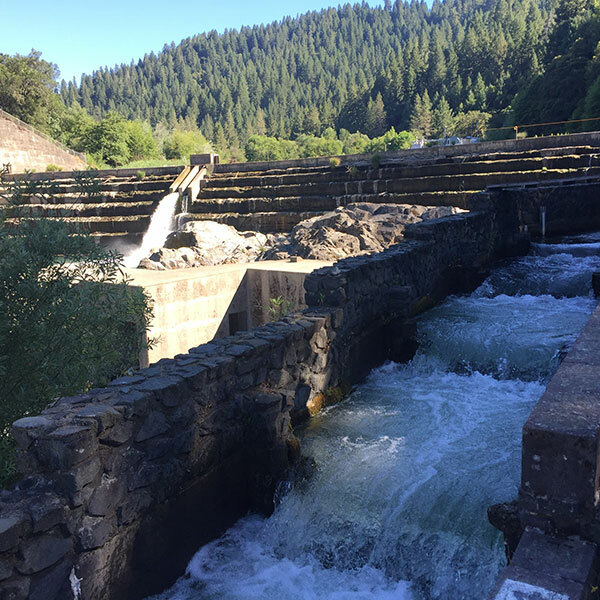 Is the power and water the dams yield “clean and renewable” if it comes at the cost of Eel River fisheries? The available evidence strongly suggests that the answer to each of these questions is no. FERC had to disregard the facts in its own record to forgo a dam removal alternative. It had to ignore its own policy as well, which explicitly lists 17 factors FERC “will” consider in deciding whether to offer a dam decommissioning alternative. Of those 17 factors, FERC looked at just one, “support by the applicant or other party for decommissioning,” but then ignored the fact that FOER and the Round Valley Indian Tribes have already called for decommissioning in this process – and that tribal and conservation voices have been calling to study dam removal since 2002. Help us get this process on track. Send your comment to FERC today. Visit our website where we’ve outlined how to comment electronically or in print. And don’t forget to send us some money. We’ll put it to good use.